Showing off your travel gear is a bit of a thing at the moment so I thought I’d add my own collection and show you what's in my backpack. 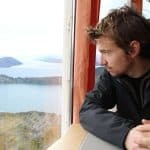 I’ve been travelling for over 20 years and more or less follow the nomad lifestyle. I’ve gone through phases of minimalist backpack to fully-prepared and everything in between. Right now I like to think I am not extreme in my choice of packing list, but simply practical. These essential travel items are reliable and perform well. Includes sports apparel and equipment. I have to be able to run, hit the gym, swim, perform mobility exercises, and do yoga. I don’t take everything on this list on every trip. There are better, cheaper, faster, and sexier products on the market but I go for practicality above all else. Spending 2 weeks looking for a backpack that saves me 100g is not a good use of my time or energy. I recommend the items on this list to my friends but I’m not trying to sway anyone’s opinion on, say Mac vs PC laptops, or Sony vs Sennheiser headphones. I’ve tried hundreds of different headphones, backpacks, and other products for use on the road. These are the ones I currently use. I haven't listed things like toothbrushes, socks, and nail clippers. The exact quantity of toothpaste I travel with is not that interesting to anyone (or is it? let me know please) so I only detail the stuff that's different/important/interesting. I use, vouch for, and endorse, all of these products. There are no paid reviews in this article (or anywhere on this website). Some of the links below are affiliate links, which means that I may receive a small commission if you click on the links and order the products. This does not increase the cost to you in any way. 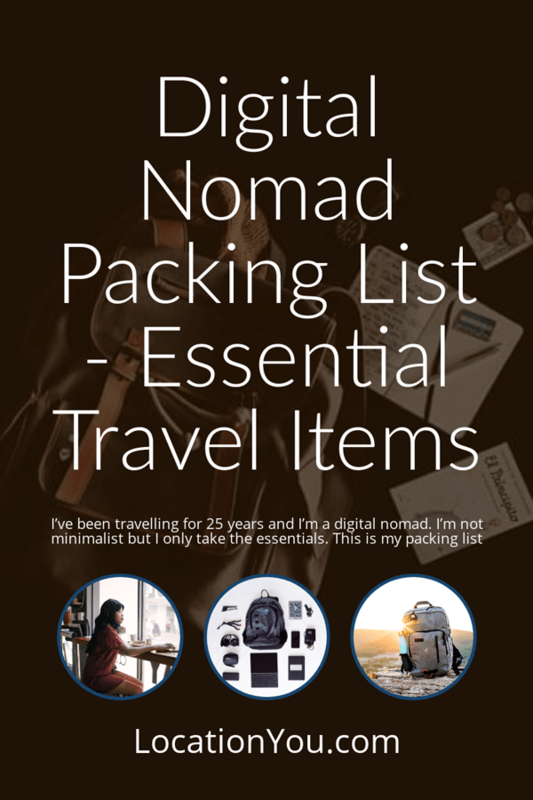 The list changes depending on the journey, of course, but for any trip over a couple of weeks, this is my go-to travel-packing list. The quest to find the best carry on backpack is a never-ending one among travellers. Digital nomads and professional vagabonds are often quite passionate about choosing the right backpack or carry-on bag for the job. The goal, much of the time, is to pack everything you need into one bag and avoid having to deal with a checked bag. The advantages are financial and practical. Nobody wants to pay extra luggage fees and standing at the luggage carousel is boring and tedious. I don’t subscribe to the one-bag-only rule but sometimes it’s nice to travel light. My carry-on bag these days is a black North Face Overhaul 40. This 40-kg capacity bag isn’t the hippest looking but it’s extremely well built, with no weak points and has plenty of space, organised into several compartments. A nicely snug sleeve at the back works well for laptops and the zip pockets and sectioned spaces in the front zipped area are perfect for small devices, passports, and snacks. 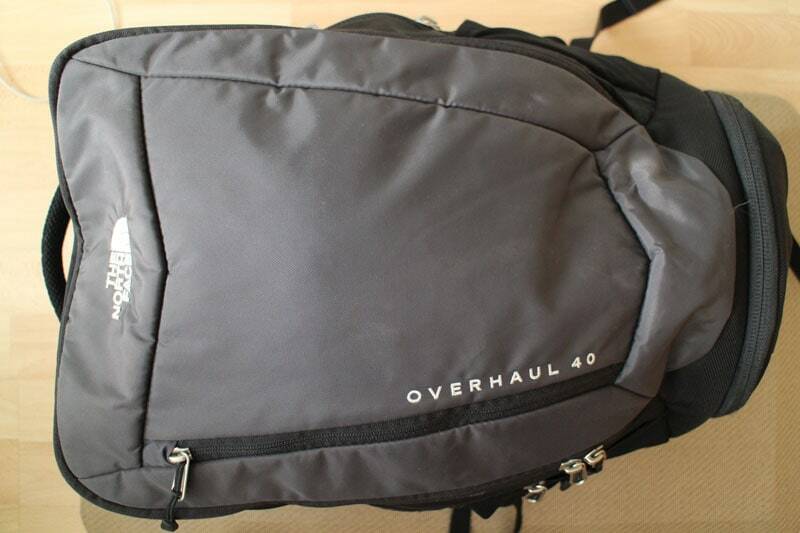 Another option is the Osprey Packs Farpoint 40 Travel Backpack, which I've been using a bit. I was looking for an alternative short-term backpack and Amazon recommended it. The reviews all looked good and it's been a great purchase. For long term travel I sometimes take extra stuff. Instead of buying sports gear (shoes, for example) and extra computer gear, I prefer to pay a little extra for baggage and take some stuff to my new base. There’s no point in trying to stuff everything into a little carry-on bag that will break from being pushed to its limits constantly. Most long-haul flights give you free baggage allowance. Many travellers will tell you that the things you sacrifice for space can be found everywhere in the world. That may be true but do I want to spend more money (often more than the luggage fees) and countless hours finding, travelling to, and walking around stores, markets, and malls looking for these items. If you’re stuck on a packed bus and you have to give up your carry-on bag to be stored somewhere you’re putting your belongings for the entire trip at risk. At least with two bags the risk is divided. Small things matter. My checked bag these days is the Timberland Jay Peak. 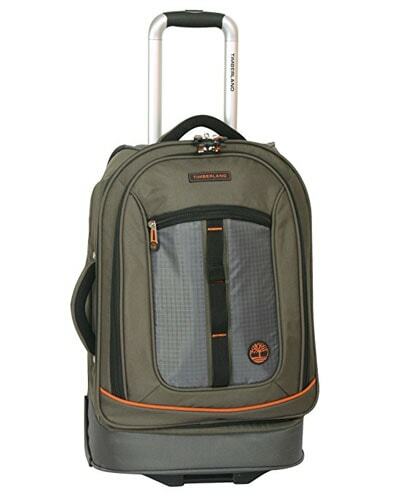 It’s similar to my backpack but has roller wheels. I like this bag as it’s small enough that I can carry it in my arms and it’s a very sturdy piece of kit. I’ve been around the world a couple of times with this baby and am always happy to travel with it. I can put my sports equipment, 90% of my clothes, all footwear, toiletries, and laptop stand in this bag. Another bag, you say! Yep, but one that adds almost nothing to the weight. Foldable backpacks are packs with no solid structural parts. They are made almost entirely of material and can be compressed down to the size of a fist. Try the Outlander Ultra Lightweight Packable backpack, which comes in some cool colours. It weights half a pound (200g) and is a great little backpack to use for wandering around a city, heading to the beach, the gym, or for sightseeing. The Western Digital (WD) Elements external drive range is stylish and practical. I’ve owned 3 of these at various stages. One I dropped from a height (R.I.P. ), one is a backup of a backup and the last is my main external drive. The WD elements portable drive is the one I'm using now. Of course, you can always store your photos and other data in the cloud. But what happens if you need to back up your data in some off-the-beaten-track location with no wifi, or a simply bad wifi connection? And cloud storage comes with a yearly recurring cost. With the staggering quantity of photos we collectively take every day a 500GB drive might not be enough to meet our individual photo backup requirements, especially if you keep high-quality copies. This drive has a massive 2TB of storage. The best coffee maker on the market also happens to be the lightest and the cheapest. That's music to the ears of travelling coffee addicts. I bought my AeroPress Coffee Maker about 3 years ago and I'm wondering why I didn't before. I now own two of these little travel coffee presses. For the cost of a couple of weeks coffees in Starbucks, you can buy your own coffee grinder and coffee press. The combination of freshly ground coffee and the AeroPress produces a fine tasting elixir, unlike anything those coffee chains can offer. The Aeropress builds on the notion that the pressure applied to the hot water as it passes through the coffee grains is what produces the best tasting coffee. The most expensive part of a coffee machine is the pump. Your own arm strength is a pretty good source of pump power. All you need then is hot water and some plastic to hold the liquid. Thus was born the Aeropress. Get one today and never be without a delicious cup of Joe ever again. I’m big into ergonomics and anything that can help to improve my posture. If you work all day on a computer, as many of us do now, you might have experienced shoulder and neck soreness, back pain, and eye-strain (lucky you, if you haven't). These are all symptoms of the modern laptop lifestyle of working. 12+ hours a day sitting will ruin your body. I use a standing desk at home and an adjustable height monitor. But what are the options for a more ergonomic workspace when travelling? Unless you find a coworking office with standing desks and monitors you will need to devise your own ergonomic workspace. I ordered a Roost Stand when it was still in it’s Kickstarter funding phase. After a long delay, the extremely lightweight and sturdy laptop stand arrived. It's a really nicely designed piece of kit and surprisingly solid considering it's low weight. One problem with using a stand like the Roost is that although it helps you keep a neutral neck position and better posture overall, you will need a keyboard (via bluetooth) to type on. Typing directly on your laptop is extremely difficult and not recommended unless you don’t mind a serious case of RSI in your wrists. The other glaring issue is that fact that this doesn’t solve the “sitting’ problem. Unless you find something to put on top of a desk or find a surface high enough you will still need to sit. 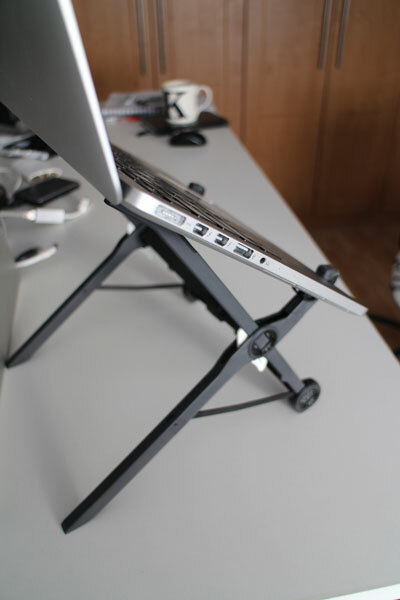 But as a portable laptop riser, the Roost is awesome. The weight is barely noticeable (5.8oz or 165g) and it packs down into a thin packable unit (1.2 x 13 x 1.3 inches) that you can slot into your backpack. An essential piece of equipment. I'll admit this “essential travel item” is a little odd. However, it’s also a very important one for me. If you suffer from SAD, which stands for Seasonal Affective Disorder, you’ll know all about the winter blues. I use the Philips GoLite in winter to not only wake me up in the morning but to dowse my body in natural light (when there isn't any). It helps stimulate the feel-good hormones and acts as a sort of natural light therapy. If you're travelling to Thailand or Northern Europe in Summer, you won't need a SAD lamp. But for resetting your internal clock and adjusting your circadian rhythms, these “happy lamps”, as I call them, are pure gold. If you travel through several time zones, your body clock goes out of sync with the destination time-zone. The GoLite helps readjust your waking and sleeping cycles. Set the light on your desk and leave it on for 20 minutes while you read or work first thing in the morning, or when you want to be awake. This works particularly well if you travel to countries, such as Sweden, where nighttime is very long in winter. It’s hard to adjust to the correct ‘waking hours’ if you arrive jet-lagged in a Swedish winter with a couple of hours of daylight every day. Why didn’t I think of that? Packing cubes like the Eagle Creek compression cube range are a ninja packing system. They turn your backpack into a space filled with foldable compartments for your clothing and other luggage. Simple and elegant. Keep your backpack/luggage compartmentalised and it's easier to pack, unpack, and find what you need quickly. Looking for something in your bag? If you pack items in logical groups or by “type”, it's easier to find the single item you're looking for. Check the cube where it's most likely to be. Saves you taking every single tshirt out and unravelling your expertly packed backpack just to find that one shirt. I will admit that I’ve only used one brand of packing cube, Eagle Creek. However, it’s a high-quality product so I’ve never needed to replace the 3 cubes I own. Packing cubes are a lightweight and practical addition to any travellers kit. Exercise is not just important, it’s essential. The human body was designed for movement, not sitting on aeroplanes and lounging in cafes. After a long flight, a spot of yoga or simple stretching is just the thing for reviving tired bodies and stretching out muscles that have been stuck in one position for too long. Carrying a full-size mat is not an option so I regularly bring a travel mat with me. The Eko Superlite Travel Mat is a good quality super-light mat that packs away in your case. I used one of these every day on the dusty sweaty floor of my apartment in Buenos Aires in the heat of summer. I used one of these every day on the dusty sweaty floor of my apartment in Buenos Aires in the heat of summer. At first, I thought ExOfficio was a bit of a joke, that the marketing team were really doing a great job convincing us to buy something faddish. I was wrong. 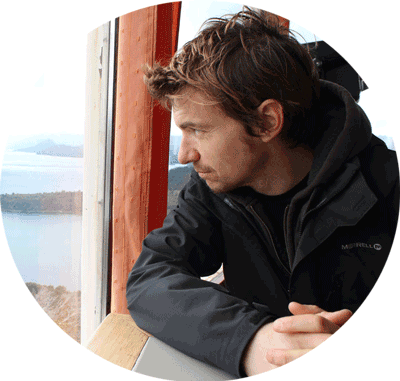 I talk with many long-term travellers and I always ask them about their clothing preferences. Inevitably, the list of t-shirts, short pants and fleece jumper comes up. But more and more I hear people mentioning breathable, quick-drying underwear. OK, so it is trendy to wear this stuff, but the technology didn't exist a few years ago so this is the first wave of these types of products. I find that the boxer briefs work well. There’s enough room to breathe and they are comfortable on long trips. There are options for the ladies too, but I can’t say I’ve tried them! 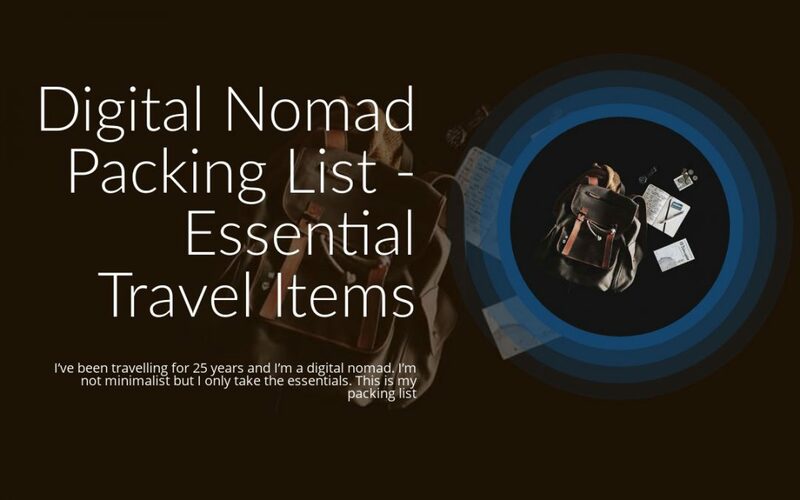 What's In Your Digital Nomad Packing List? So there you have it. A list of items that I choose from every time I take a trip. In most cases, I will take 90% of these things with me. What's on your packing list? Nice list. What about camera equipment like tripods? I guess I left out camera equipment because it’s a rabbit hole I didn’t want to get into. And I’m not the best person to ask about this. I use a Gorilla tripod for my camera and my Pixel 2. Works really well.